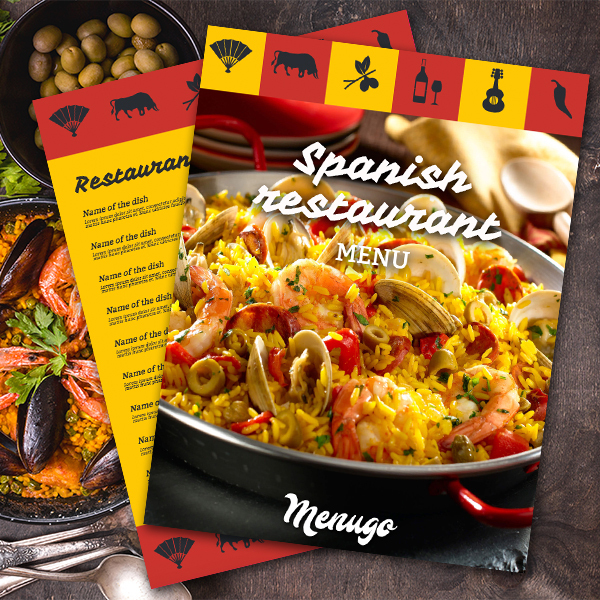 Spanish menu designed in the national colors of Spain-yellow and red! It's bold! Made specifically for Spanish restaurants and eateries. Spanish food has a different color and depth of taste, and therefore a menu should be bright and attractive!